How is Dark Chocolate 100% cocoa made? An amazing piece of Welsh history that started in disaster in 1818 for Welsh missionaries, and at the request of the then Madagascan (Malagasy) King Radama and has left a tremendous legacy that has enabled many generations of Madagascan ( Malagasy) children to be educated in written form of the verbal language ever since/ having a transformative effect on the country. this 22nd September 2018 – Royal Welsh College of Music and Drama , Cardiff at 7.30pm/ tickets available. There will be a number of distinguished guests at the concert including the Mayors of Cardiff and Llandeilo, the CEO of the Welsh Centre for International Affairs, the President of the Annibynwyr (Welsh Congregational Churches), the ex-Vice-President of the United Protestant Church of Madagascar, the Malagasy ex-Vice-President of the International Court of Justice and the ex- Malagasy Ambassador to UNESCO in Paris. The concert is being promoted by ‘Money for Madagascar’ which is a small international charity that was founded in Swansea, Wales 32 years ago. Madagascar is 4th largest Island in the world - 900 miles long, 300 miles wide/ about same size of France and Belgium combined / 2.5 times size of UK, and 28 times of Wales. It is 270 miles from Mozambique. First discovered by Europeans in 1506. First peoples arrive of circa 1000BC from Asia ( not Africa) , one of the last landmasses on earth to be inhabitated by humans. Unique animals, fauna, flora eg lemurs, Chameleons etc. A least developed country with GDP per Capita circa 100 times less than the USA. 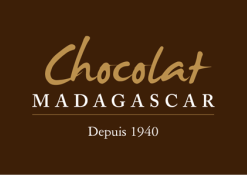 Famous exports are Bourbon Vanilla, Spices and World Class Fine Chocolate, freshly grown and crafted all in Madagascar.